When it comes to your wedding pictures, you want someone that is going to capture your wedding day perfectly. You want to remember the love, laughter, and landscape that surrounded you on one of the most special days of your life. Today, we are featuring the wonderful Rwanda Studio. 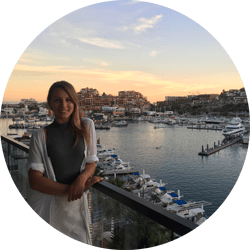 I’ve been in personal contact with the CEO and founder of this company, Josefina Farhat, and asked them questions about destination wedding photography in Mexico. Wait till you see these pictures and find out more about Rwanda Studio, you will be pleasantly amazed. Also, you will find their contact information below, tell us what you think. Mexico is a fantastic place for weddings because of its unique landscapes; you have the beauty of the west coast of the Pacific Ocean and its beautiful cliffs, mountains and the folkloric tradition of San Miguel de Allende. There is the beautiful Mexican Caribean with its blue waters and white sand. The quality of service performed for the married couple and their guests is wonderful. I studied film at the University of Buenos Aires in Argentina. Since I was small, I admired the image, the narrative, and poetry. I worked many years in art direction in film and traveled to Mexico in search of the beauty of a blue ocean and a new creative space. This search is how I found it all in wedding photography: the aesthetic, the poetry, the narrative and the image. What is it About Destination Weddings? What I love about traveling and documenting weddings is understanding that the event surpasses the meaning of two people uniting as one. It is the only moment, surely, that the couple has to render a tribute to their love, to celebrate and to toast with all their loved ones in one place. Two people that love each other celebrate, during one whole day, their love with all their loved ones. This is a tough question because I don’t have a favorite location. I like the sea as well as I like the mountains. I am citified and I also really like the architecture of cities. Also, I am interested that the location has a light which would let me play with it and with the emotions of the moment and the couple. Rwanda Studio is special because it understands the real meaning of what represents a wedding. I think that starting with that, telling a story is much more consequential. We are talking about love, not only between the couple but between brothers, friends, godfathers, and uncles. This is what we look for, to document in the most poetic and sincere way possible. Want more information? Check out their website or even their Facebook page here.